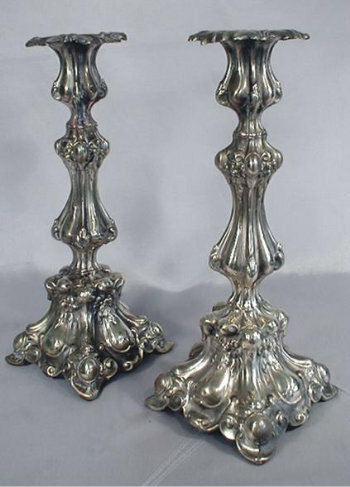 A pair of Polish Sabbath candlesticks by Jarra. Highly embossed domes punctuate square form base with slipper toes rising to a voluted baluster stem and voluted nozzle with Acanthus detail throughout. With matching acanthus detailed bobeche.